ITV is a commercial television channel in the United Kingdom. Previously a network of separate regional television channels, ITV currently operates in England, Wales, Scotland and the Channel Islands. It is also available on cable and IPTV in Switzerland and Liechtenstein. 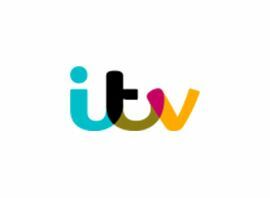 ITV is the biggest and most popular commercial television channel in the United Kingdom. ITV and its predecessor channels have contended with BBC One for the status of the UK´s most watched television channel since the 1950s. However, in line with other terrestrial channels, ITV´s audience share has fallen in the era of multi-channel television. ITV consists of eleven franchises in England and Wales which broadcast regional news and other local programming to its area. A high-definition simulcast of ITV, ITV HD, debuted in December 2009 with the technical launch of the Freeview HD service. With its debut on Freeview HD, the channel was re-branded as ITV1 HD in December 2009.